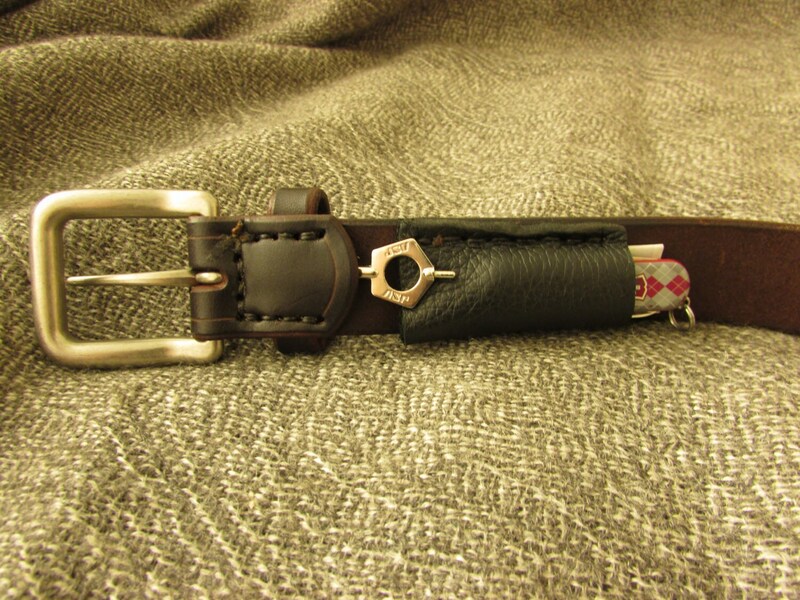 This listing is for a handmade leather belt. 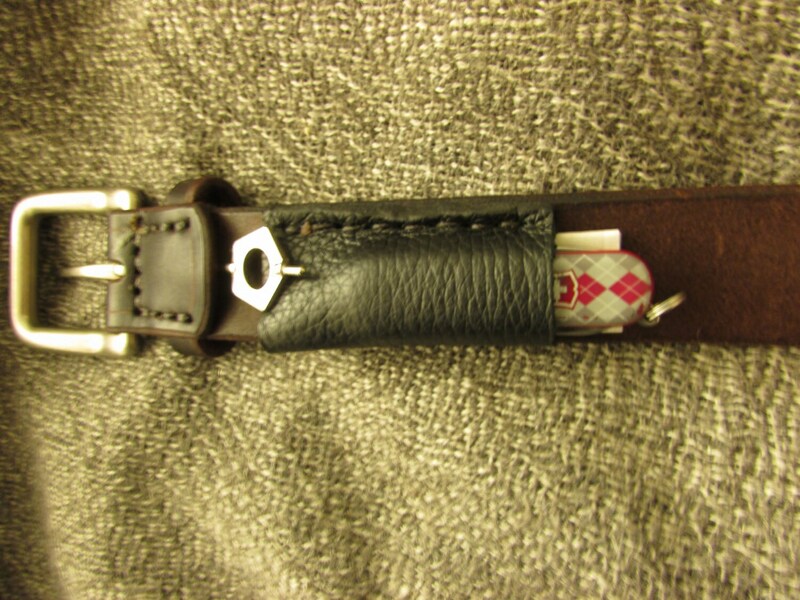 The "Just In Case" belt is identical to the other 1.25" wide belt I offer but, in addition to the included handcuff key, this belt features a small loop pocket behind the buckle that can be used to store spare cash, matches, a small pocket knife, string, vital information, an SD card, microfilm, intoxicants, shiny rocks, your lucky penny, someone else's lucky penny, candy, chap stick, really anything that you might want to have handy, but hidden. 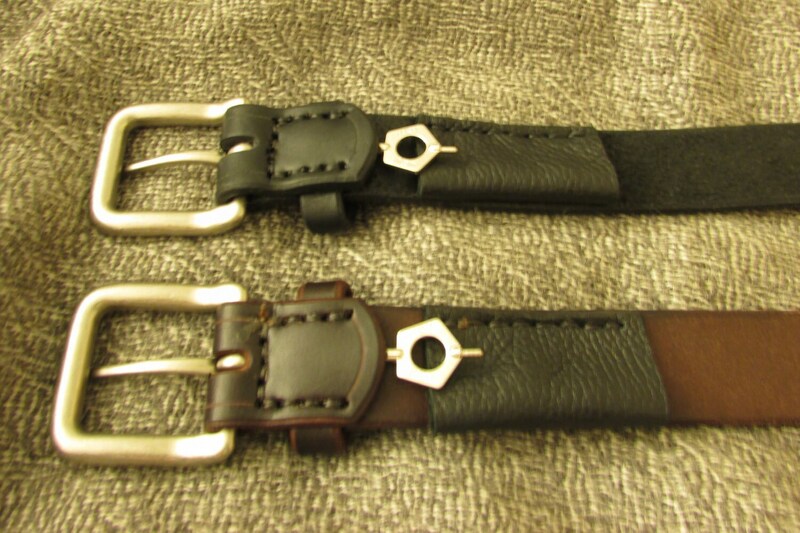 These belts are made of a single 1/14" wide strip of 8-10 ounce latigo cowhide. 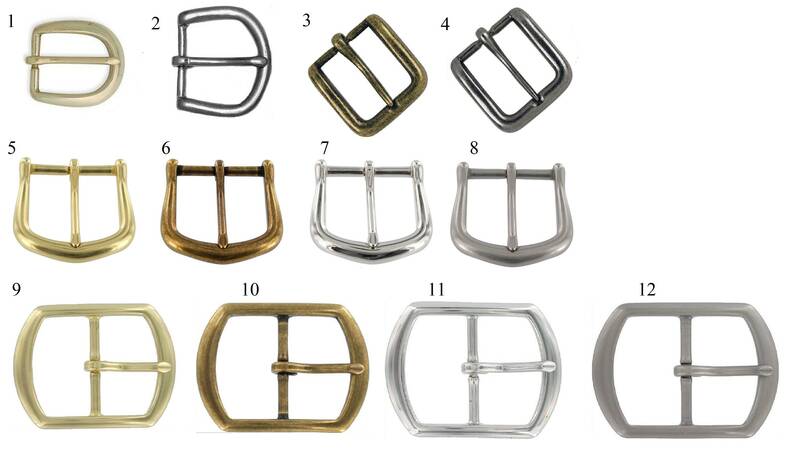 They include your choice of one of 12 buckles. 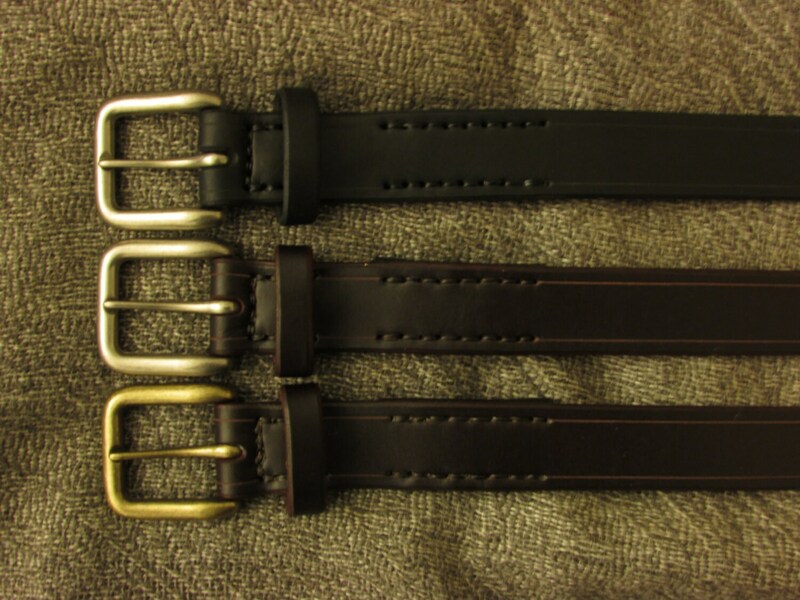 Typically the belts will be stitched together, but if you would like snaps or chicago screws to allow you to swap out buckles, let me know in the order notes and I will set it up for you free of charge. Feel free to message me if there is any customization you would like for yours.